British Food Fortnight started yesterday 18th September and runs until the 3rd October. Events across the country have been arranged not only promoting British food but also how to enjoy it and learn more about it. Check www.lovebritishfood.co.uk for more details and to find out what’s happening near you. My friend, the rural artisan and fellow Women’s Food & Farming Union London branch www.wfulondon.org.uk member, Sally Scantlebury, is staging an exhibition in St Leonard’s Church, Shoreditch entitled “Art you can Eat” with a special open evening on 30th September from 5-9pm entitled “Daily Bread” . For more information e-mail Sally at sally.scantlebury@feastnet.net . This time of year it is impossible, I think, to be unmoved by the sight of abundant produce at local farmers’ market: plums, greengages, the last blackberries, courgettes, aubergines, the first English apples such as Discovery and Worcester Pearmain and ofcourse mushrooms. I remember being given a Discovery apple as part of my packed lunch at the start of the new school year in September; because of their attraction to wasps, we called Discoveries “wasp apples”. 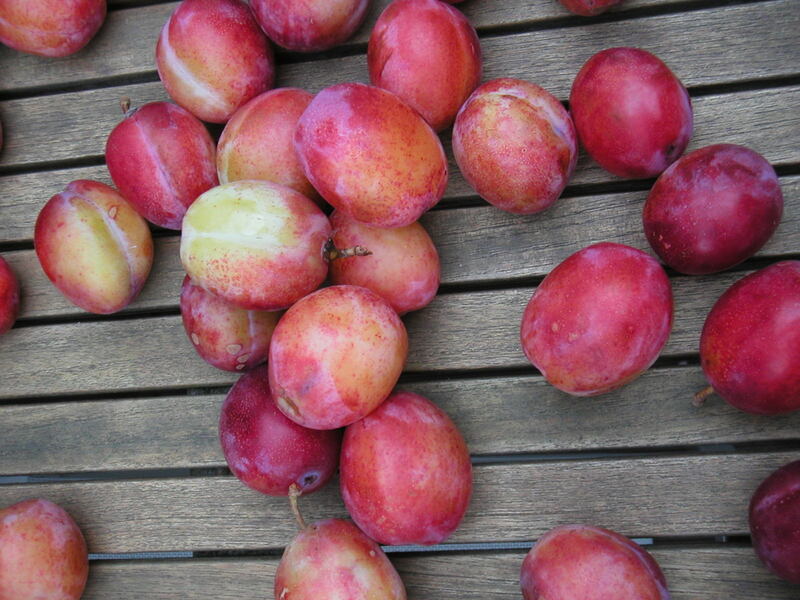 Victoria plums, like the ones in the picture above, are best for the kitchen rather than eating raw: a cake, a tart with almonds or marzipan, plum sauce, a compote to be eaten with ice cream or cream or thick Greek yoghurt and ofcourse jam. Here’s a recipe, loosely based on Nigel Slater’s, for a fresh plum & almond cake which works equally well as a coffee/tea cake or dessert. I saw a very similar cake in the window of Ottolenghi’s deli on Westbourne Grove, London, at the weekend, but made in a large square tin. It looked really good and makes a nice change from ubiquitous round cakes, so use that (or even a large loaf tin) if you prefer. I used a 20cm round spring form, lined with a sheet of aluminium foil (you can also use baking parchment) and lightly buttered. place the quartered plums onto the cake mixture; avoid overloading the centre or this part of the cake will remain runny. 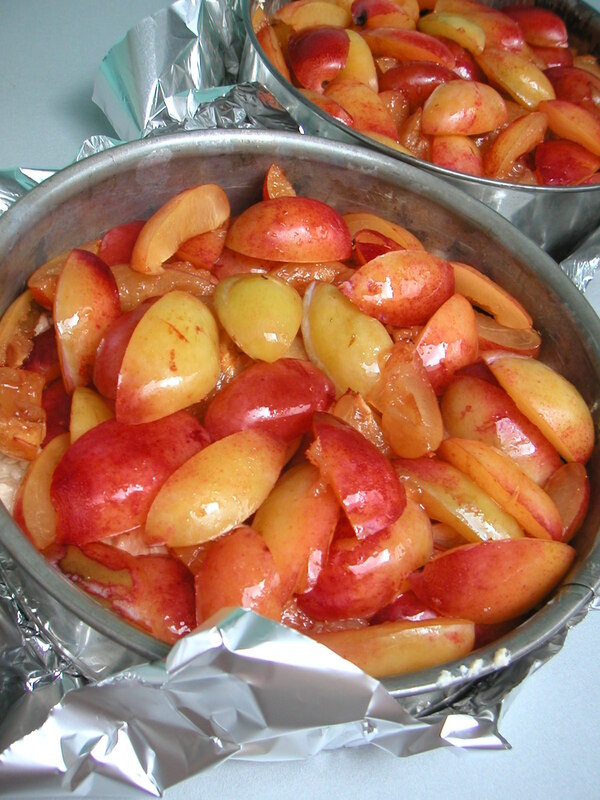 The plums will sink into the mixture as the cake bakes. 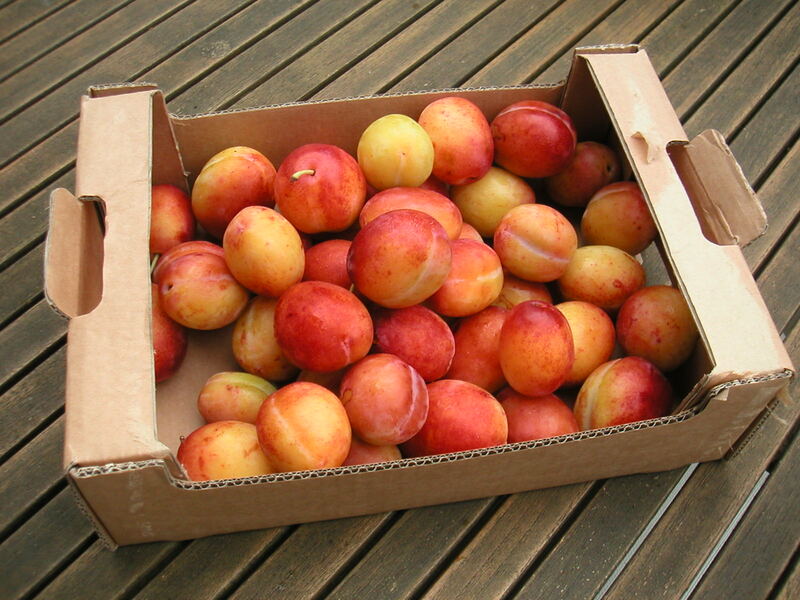 This entry was posted in freshly baked cakes, glut cooking, how to be a savvy shopper and a clever cook, plum + almond cake, plums, real food, Recipes, treats and tagged almond & plum cake, glut baking, seasonal gluts, Victoria plums. Bookmark the permalink.